Stack up to 3-high for ease of picking and nests when empty. Manufactured in 50% recycled material. 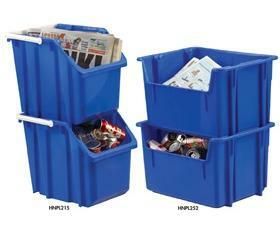 Get high-density storage and quick access to your products with Stack and Nest Hoppers. These hopper-front containers provide all the strength and tough characteristics of LEWISBins containers with the added ability to pick and visually inspect the contents. 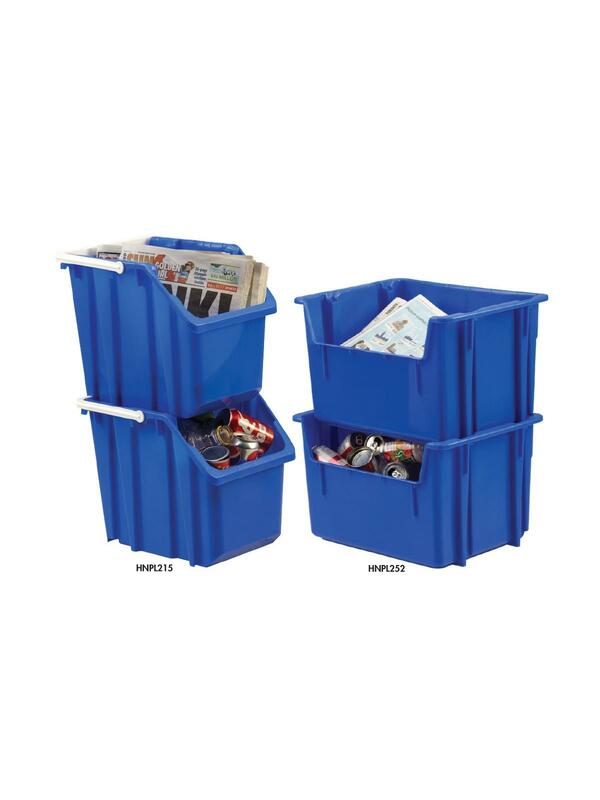 Stack-N-Nest Hopper Bins are manufactured in high-density polyethylene and are ideal for picking and transportation of materials. FOB Shipping Point.